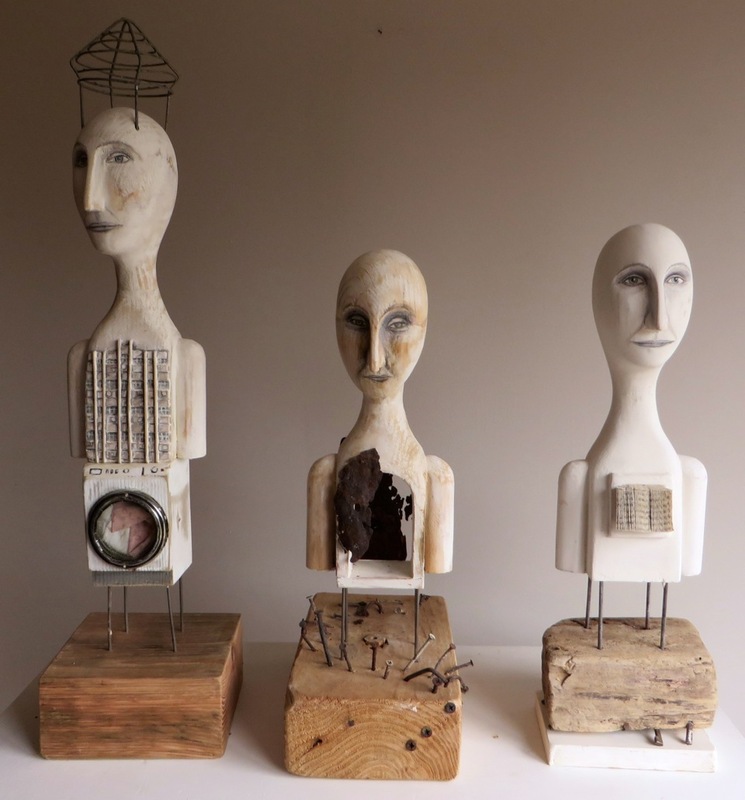 I sculpt, draw and paint, I’m whimsical, I like the unusual aspects of humanity, the visual and tactile qualities of combined materials especially wood, metal and graphic media. These elements contribute to ideas and inspiration and I aim to work and fashion them intuitively. My ideas naturally develop from one piece to another and are usually centred around my perception of an imaginary world which inspires me. I value the making process as well as the finished piece and enjoy other people’s interaction with my paintings and sculptures.